We never underestimate the power of costume hats at our shop. Time and time again, a good costume hat has proven to be the ultimate accessory in changing a costume for the better or a bad costume hat changing it for the worst. A good costume hat, when applied to an appropriate costume and look, is not only eye-catching, but it helps to draw attention away from some of the subtler flaws that might exist in your costume, whereas a misplaced or poorly designed costume hat will ultimately look like a massive flaw in appearance and judgment that will constantly draw undue attention. 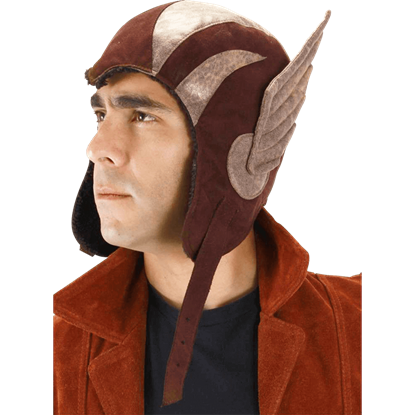 Thus, if you find yourself looking for a good costume hat, you should find yourself in the vicinity of our costume hats section. And while we do not necessarily carry bad costume hats, you should always remember that if miss-matched to the wrong costume, any costume hat can be bad. 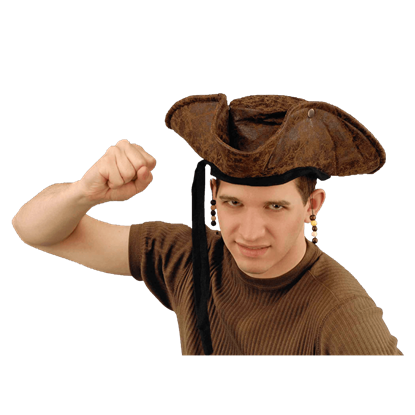 So browse our costume hats carefully, keeping in mind which ones are appropriate for pirates and which ones are appropriate for other uses and you will not find yourself wearing a bad costume hat at all unless you deliberately chose to. No warrior would dare go into battle without their helmet, and Themistokles was no novice to war. 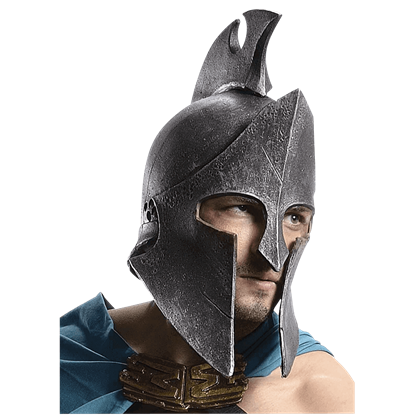 The 300 Rise of an Empire Themistokles Vinyl Helmet is modeled after the helmet from the film, so that you can wear it for yourself. 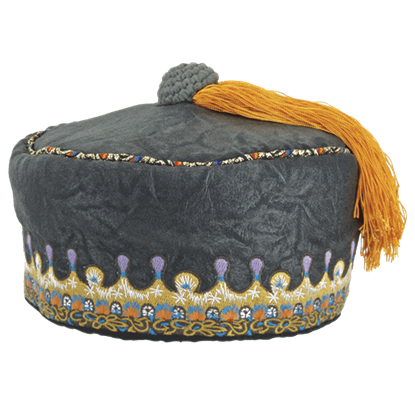 In the ancient world, hats could, in a small way, be used to ascertain an individuals social status and personal power - the more ornate the hat the higher the rank. 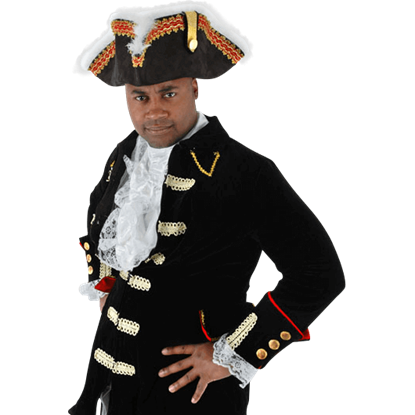 Wearing the Admiral's Tricorn Hat, you too will appear to have status. Perfect for fans of the steampunk genre or those who seek a stand out look, the Aeros Aviator Hat features a stylish and versatile design which allows for it to be worn as eye catching casual wear or to complete your steampunk costume. Happiness can be found, even in the darkest of times, especially if you are sporting the stylish Albus Dumbledore Tassel Hat. Wear this distinctive embroidered cap while you manage mischief in the manor or nibble nutcakes in the nook. No good soldier would ever march into enemy territory without a combat helmet. 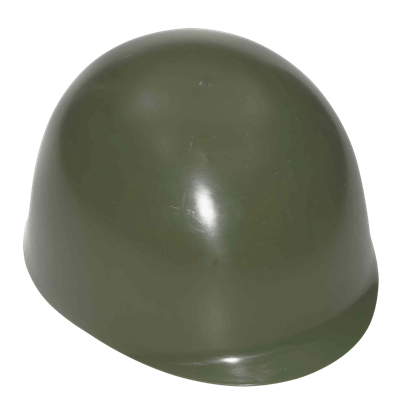 Zombie survivors can learn a lesson from this and only advance towards a zombie horde when protected by an Army Green Costume Combat Helmet. Sometimes an ally, but often a nemesis to Jack Sparrow, Barbossa treacherously took the Black Pearl from Jack Sparrow in the first Pirates of the Caribbean film. The Barbossa Hat is based on his look from Dead Men Tell No Tales. There was not a dreaded scallywag on the seven seas that would not dare be caught without their hat. 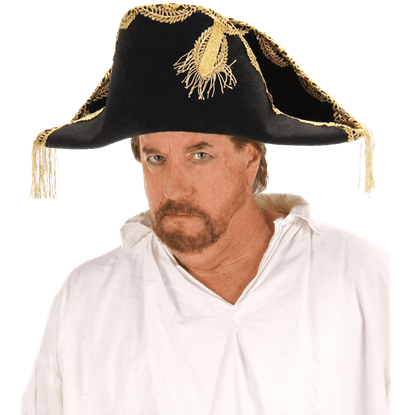 This Beaded Pirates Tricorn Hat is quite the impressive accessory, featuring everything a pirate could ever want in a hat and more. For one with discerning tastes, a riding hat is an important decision. It must complement ones riding attire perfectly. 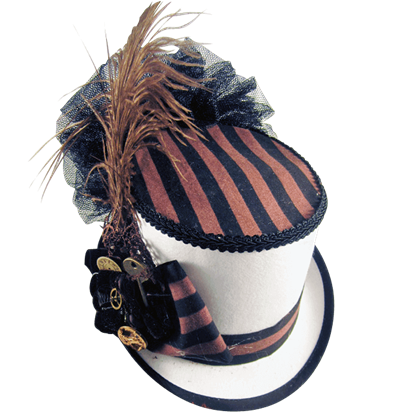 The Black and Brown Topped White Steampunk Riding Hat provides a stark color contrast, without compromising style. For one with discerning tastes, a riding hat is an important decision. It must complement ones riding attire perfectly. 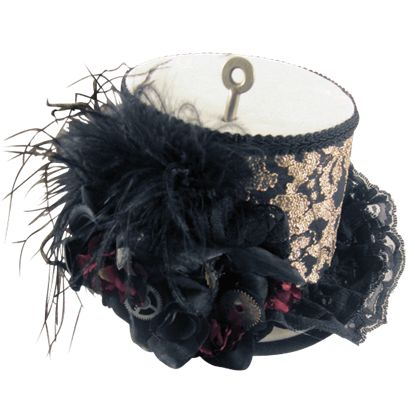 The Black and Brown Topped White Steampunk Riding Hat with Netting provides a stark color contrast. 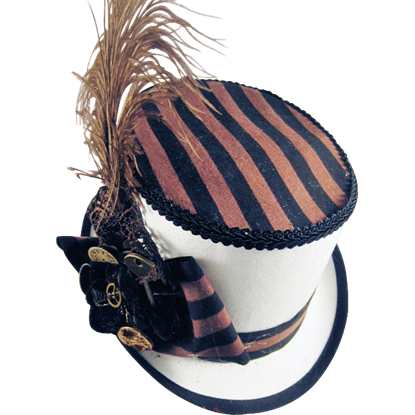 The best Steampunk riding hat features influences from style without being overly obviously about it, like the Black and Gold Geared Steampunk Riding Hat. This hat is ideal for the lady who wants style without being too obvious. 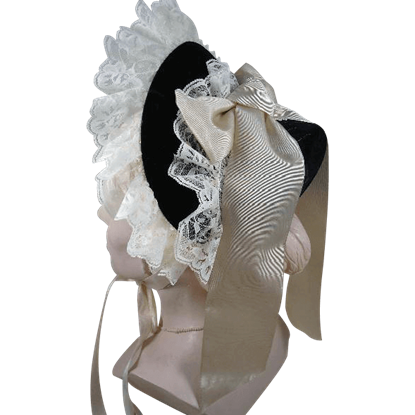 The bonnet has been worn for hundreds of years, either to protect a womans hair or to accent her outfit while outside her home. 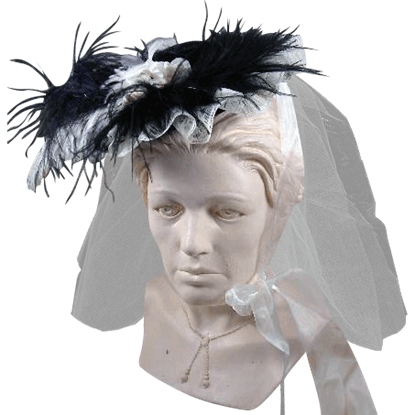 This Black and Ivory Mini Bonnet is designed after a style made to accent a womans appearance and clothing. Finding the right hat that compliments your outfit can be a chore, especially if you are looking for a visually appealing hat that is not overly decorated. Hold on, we have just that hat for you, in the Black and Ivory Mini Hat.